Spring weather is upon us, but as we welcome all the sunshine and dewy air, there are unwelcome guests in our homes that come with this new season: mud and dirt! To help keep your homes clean and fresh, the makers of Arm & Hammer™ offers some practical tips that will not only usher in May flowers, but will also save you money. April showers bring May flowers, that is what they say. But while we love the dewy air and spring fresh flowers, mud and dirt muck up our day. 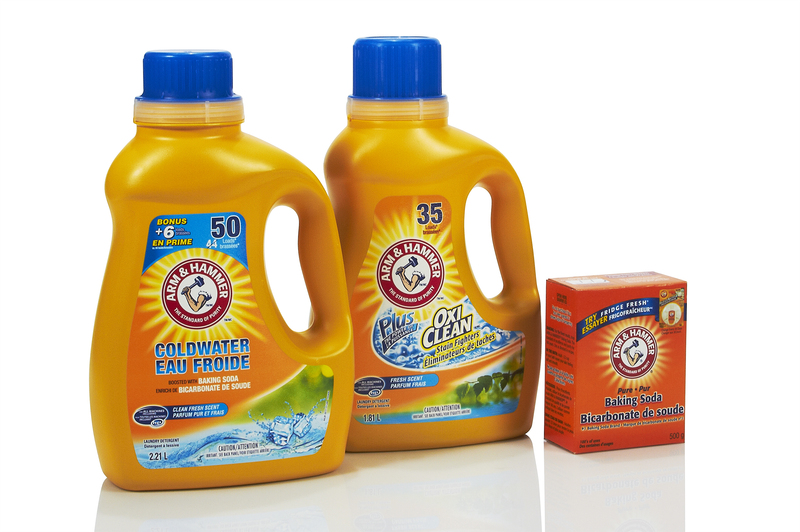 · Spruce up your spring wardrobe by using Arm & Hammer™ Cold Water Liquid Laundry Detergent to keep you smelling fresh and clean – it powers out dirt and odours in low temperatures with special agents in the detergent trapping soil in the wash water, so it rinses away and doesn’t redeposit on your clothes. · Open the windows to the fresh spring air and let out the smell that Old Man Winter might have left in its wake. Clothes that have been tucked away are prone to powerful odours: fight the tough odours with Arm & Hammer™ Plus OxiClean™ Laundry Detergent, Fresh Scent. This formula, with deodorizing Arm & Hammer™ Baking Soda, neutralizes even the toughest odours, while OxiClean™ Dirt Fighters loosen and help lift up dirt. · Did you know that Arm & Hammer™ Baking Soda has over 101 uses around the home? With the pitter-patter of little muddy feet on the kitchen floor, your floor is bound to get dirty. Remove dirt and grime (without unwanted scratch marks) from no-wax and tile floors using 120 g Arm & Hammer™ Baking Soda in a bucket of warm water, then mop and rinse clean for a sparkling floor that everyone will adore. Have an athlete in your family with the case of the smelly gym bag? Sprinkle Arm & Hammer™ Baking Soda into the offending gym bag to deodorize and abracadabra — the odours are gone! For the Tiger Woods on your team, clean golf irons (without scratching them) with a baking soda paste (3 parts Arm & Hammer™ Baking Soda to 1 part water) and a brush. Rinse thoroughly and let dry. Plastic take-out containers smell like the last meal? Wash the containers in between uses with Arm & Hammer™ Baking Soda sprinkled on a clean damp sponge. Bon appétit! April showers bring May flowers, but the makers of Arm & Hammer™ are here to empower. How do you usher in May flowers into your home?